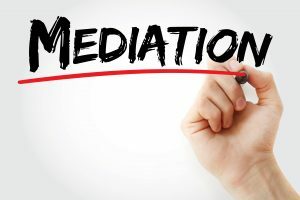 I often hear Mediator colleagues ask why you might consider a child or young person being involved in the mediation process, often shying away or not even raising the option of speaking to the children as part of the mediation process. Having undertaken over 100 Child Consultations in the past year and having over 16 years experience in working with Children young people and families as well as delivering specialist child advocacy for children with SEN and Children in care, I find myself trying to think of reasons why you wouldn’t consider a child being involved in the mediation process. Listening to children isn’t new, its new to mediation but not new to the work of working with Children and families. Children have human rights which have been enshrined in law since 1989 in the UNCRC; Children’s Act 1989; 2004. As Mediators we are expected to always give consideration to whether it might be helpful for the child or young people concerned to have a chance to meet with a qualified child consultant to express what they think is going well, what they might like to consider changing and to think through ideas that might be helpful for their parents in finding a way forward. The child’s voice has the power to influence and change the outcome of the mediation meeting, in a recent mediation meeting with parents of a 10 year old child’s who expressed that his main wish was for his parents to make the decisions and to stop using him as a mascot of their war, because it was making him so unhappy. It’s not easy to hear but it’s how the child felt and it was important for the parents to stop and listen to how the situation was making him feel, to take account of his needs and work together in his best interests, which is exactly what they intend to go and do. Next time your meeting with a parent in mediation give some thought to the child and ask the parents to consider the child’s needs at the centre of the discussions. it’s invaluable and when you think the parents might, the child might appear caught in the middle then take the chance and find the time to meet them. Don’t let our adult and professional fears get in the way.